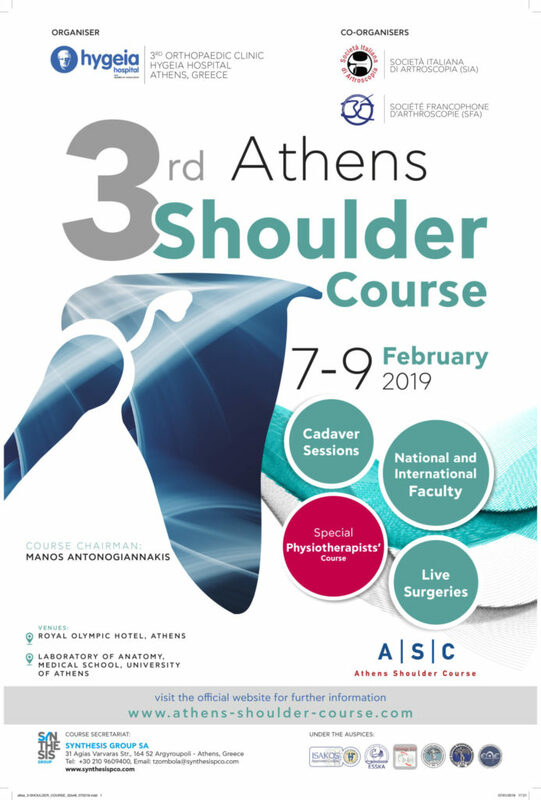 Welcome to Athens Shoulder Course! Our aim is to share with you new and innovative approaches and discuss controversial matters on shoulder disorders. Our goal is to approach these entities both theoretically and practically. Current European opinion leaders, as well as some of the most charismatic Greek shoulder surgeons are part of the course Faculty. They will try to share their knowledge and experience with interesting lectures, discussions and training on cadavers. The ultimate goal of this 3-day course is to bring in contact Orthopaedic Surgeons and Physical Therapists with cutting edge ideas in shoulder surgery in a practical and effective way for every-day practice.